IN TRIBUTE: "Her contributions will be treasured for years to come." In the wake of the sudden passing of well-known nutritionist and lifestyle consultant Dr. Heather Little-White, Prime Minister Portia Simpson-Miller has hailed her as a stalwart and a courageous woman who will be greatly missed. 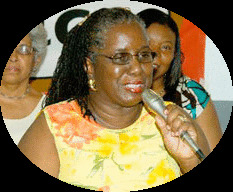 "We have lost a dear friend and Jamaica has lost a professional woman of courage whose life exemplified the true spirit of perseverance against the odds," Simpson-Miller noted in her condolence message, adding that, through her work in nutrition education, Dr. Little-White’s life touched many lives, whether via the very popular Creative Cooking television series, her countless interviews on radio, numerous articles in the newspapers, scores of lectures or direct sampling of her delightful home-grown recipes and catering services. "She will be greatly missed and her work as an outstanding nutritionist, writer and advocate for the disabled community will be remembered and treasured for many years to come," the Prime Minister said. 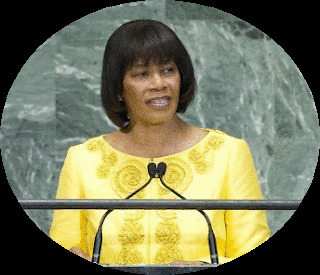 "On behalf of the government and people of Jamaica, I express my deepest sympathy to husband Peter, brother Lennie, and other members of Little-White’s family and pray God’s strength and comfort to you all during this period of grief. In the meantime, President of the Jamaica Football Federation (JFF), Captain Horace Burrell, has also added his voice to the sea of glowing tributes that continue to flow in honour of Dr. Little-White. "Heather was a dear, loyal, positive supporter of Jamaica's football programme for much over a decade," said Burrell. "She always had encouraging words for the programme and, even more so, was always willing to contribute her service, advice and her very rich knowledge." Dr. Little-White passed away at hospital late Tuesday evening after a long bout with illness. She was 60 years old.